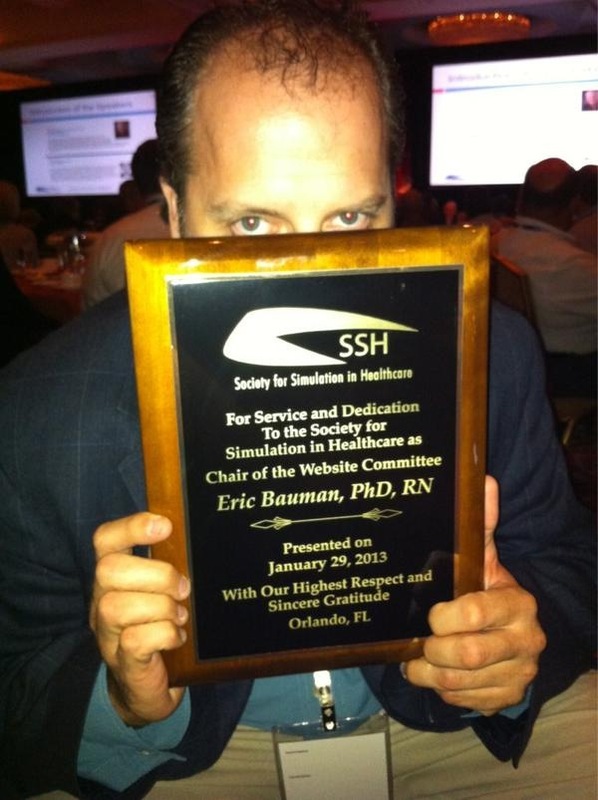 Eric B. Bauman, PhD, RN received an award for Service and Dedication to the Society for Simulation in Healthcare (SSH) at the International Meeting for Simulation in Healthcare (IMSH) on January, 29, 2013 in Orlando, FL. 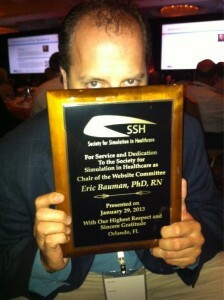 Dr. Bauman was recognized for his service as the inaugural chair of the Society’s website committee. The virtual or web presence of the the Society has become essential in the digital age. 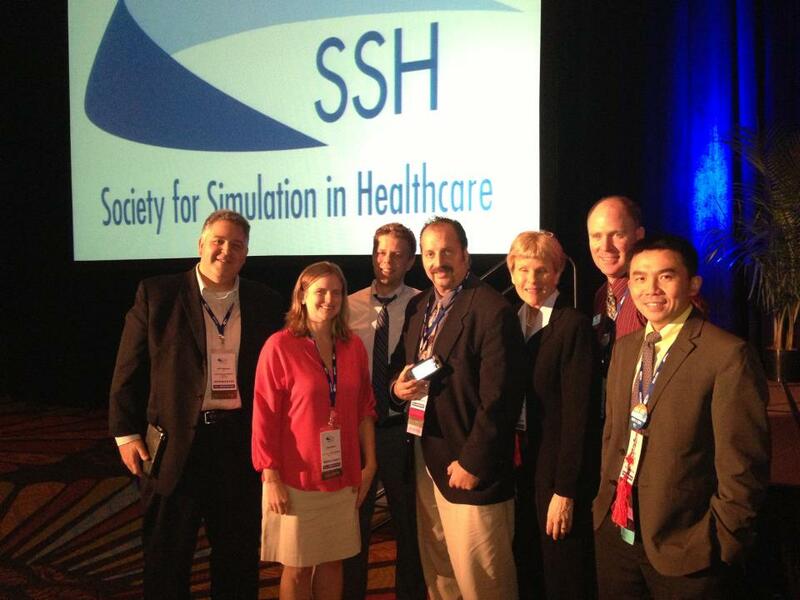 Not only is the SSH itself steeped with technology, but the internet has become the primary means for member involvement outside of IMSH. The webpage is the face of the SSH and provides the primary preparation venue for IMSH, which attracts some 3000 participants annually. The webpage, ssih.org also provides the portal for digital access for the Society’s official journal, Simulation in Healthcare. Katie White, MD and Eric B. Bauman, PhD, RN joined, Yue Dong, MD, Suzie Kardong-Edgren, PhD, RN, Jeff Taekman, MD, and Andrew Spain as faculty facilitators for the Social Media in Medical Education session at IMSH. This course has been offered at the last three IMSH Conferences, first in New Orleans in 2011 and last year in San Diego. With every year the participation has grown. This year had over 80 participants working with course faculty to learn about twitter, linkedin, blogging, and facebook. This session was also live tweeted by Dr. Ben DeVane from from the University of Florida Digital Worlds Institute [#SSHSM]. Blogger extraordinaire Jeff Taekman actually left IMSH to attend MacWorld/iWorld, where he gave a talk on a recent blog he started that focuses Workflows in Personal and Professional Productivity (WiPPP.com). Dr. Taekman is Director of the Duke University Human Simulation and Patient Safety Center. Also see Taekman’s orginal blog SimSingularity.